← First time posting photo via email > blog. Yay, WordPress! 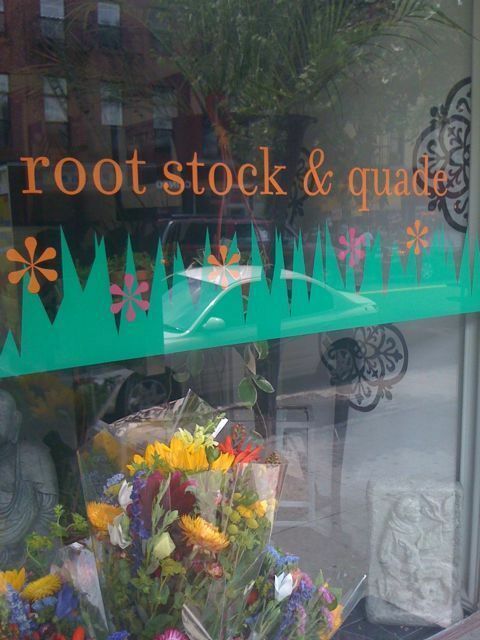 I got a bouquet at semi-new florist Root, Stock & Quade on Myrtle Ave. The flowers are for my hairstylist, Leona and Cynthia, the owner of the salon. I’ve been getting my hair done at Joseph Tyler Salon (also on Myrtle) since I moved to the neighborhood nearly three years ago. They take fantastic care of me and my multultural mop of hair, so I wanted to just give them a reason to smile. Flowers always do that. This entry was posted in photoblog and tagged clintonhill shopping flowers gifts gratitude photoblog. Bookmark the permalink.